There is growing talk about younger generations moving into adulthood with a sense of entitlement. While this condition is often spoken of in relation to Gen Y’s; a sense of being entitled to things in the ‘now’ and without having worked for them is an affliction to which no generation is immune. 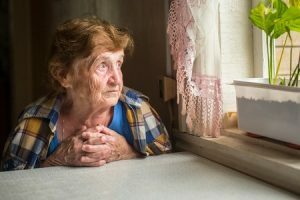 Of course, while it is one thing to expect to have material things handed to you on a silver platter, it is another thing altogether when this expectation manifests itself as a form of elder abuse. As lawyers, we are constantly alert to the possibility that our older clients may become victims of financial abuse at the hands of those who are nearest and dearest to them. As horrific as this may seem, it is occurring with alarming regularity and it evolves directly from a sense of entitlement. Consider the following scenario. A man in his late twenties appeals to his elderly grandparents to reverse mortgage their home so that he may access the funds to finance the purchase of a car. ‘It is just like me getting my inheritance early’ he explains to them, ‘and you still get to live in your home’. The couple, feeling sympathy for their grandson, agree to his request, reverse mortgage their family home without understanding fully the broader implications that surrendering their home may have on their long term financial security. In other situations, elderly people are coerced (in ways ranging from gentle persuasion to outright blackmail) to make changes to their Will. Similarly, in other circumstances, adult children have misused their authority as Power of Financial Attorney as an opportunity to direct funds from their elderly relative into their own account. As we move into our twilight years, managing finances becomes a challenge. Especially in this time of online banking and constantly evolving technologies, it is normal to transfer the burden of these duties to a trusted relative. Alas, undertaking such actions inevitably places the elderly person at greater risk of abuse. While current laws generally fail to recognise the criminal nature of these activities, lawyers remain constantly alert to the increasing incidence of this and are actively working towards educating their clients and promoting the risks with the broader community. If you, or a relative, feel that you are at risk of elder financial abuse, you are welcome to chat confidentially with one of our experienced solicitors to discuss your unique circumstances.